London Fashion Week might be known as one of the most eclectic and risk-taking of all the fashion weeks, however, it's only natural that when the capital's most stylish gather in one place, a few recurring motifs will start to emerge. As team Who What Wear have been running from show to show, our eagle eyes have noticed seven accessories in particular that have been embraced by the street style crowd this season. While some might not surprise you (hello, snakeskin boots), others might seem a little more unexpected (anyone down for white tights?). Whatever your thoughts, we all know that the pieces snapped on the streets of London will be the new-in looks that pop up on the high street in a few months' time, so it's time to take note. Scroll down to see the accessory trends we've seen emerging at London Fashion Week this February. Style Notes: Alice in Wonderland has become a style muse this February, with plenty of showgoers incorporating white tights into their outfits. Style Notes: This regal trend shows no sign of abating. We love how Flossie Saunders has matched her headband to her dress. Style Notes: They've been making the rounds of New York Fashion Week, and now, it seems as though Boyy bags are set to triumph in London too. Style Notes: The devil is in the details with this accessory trend. 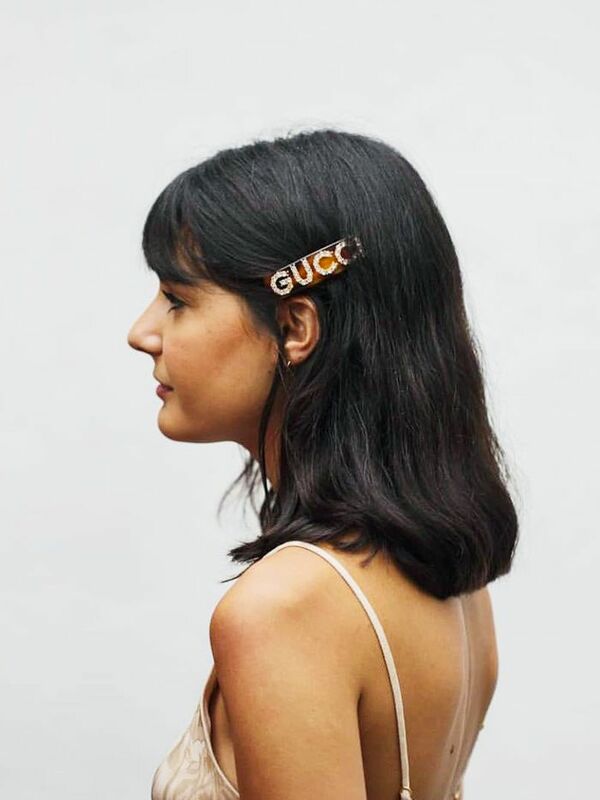 Pearl hair clips are the fashion editor's finishing touch of choice this fashion week. Style Notes: Whether they're knee-high, patent or ankle-height, white boots are on their way to becoming a must-have for summer 2019. Style Notes: It's only just been released, but Chloé's C bag is already beloved by fashion editors everywhere. We're particularly enamoured with the mock-croc variety. Style Notes: Every other person we've walked past at fashion week has been wearing snakeskin boots. They go with everything from midi skirts to bleached denim.